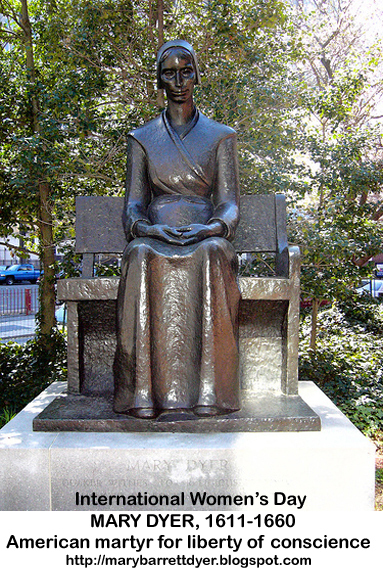 The sacrifice of Mary Dyer’s life in 1660 had direct bearing on the Rhode Island Charter of 1663 which legally granted liberty of conscience, and eventually on the United States Constitution's Bill of Rights, ratified in 1791, and in the 20th century, the United Nations Universal Declaration of Human Rights. 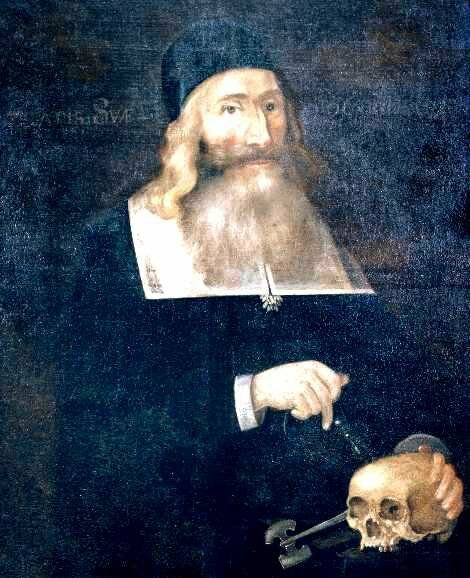 New research blows apart 350-year-old myths! Whoever that English writer was, I agree with his assumption. Mary Dyer’s choice to die a shameful death in order to shock and outrage the Massachusetts public into understanding that her brothers and sisters in the faith were only carrying out the gospel commission (visiting the sick and imprisoned, treating the “least” members of society as they would treat their Lord, and proclaiming the Light of the world), was described in a booklet that was sent to King Charles II of England, their monarch. Edward Burrough wrote A Declaration of the Sad and Great Persecution and Martyrdom of the People of God, called Quakers, in New-England, for the Worshipping of God, which you can download here. The immediate effect of the King reading the booklet was his directive to stop the hangings entirely. It also slowed and lessened the other torture on religious dissenters for a few years. 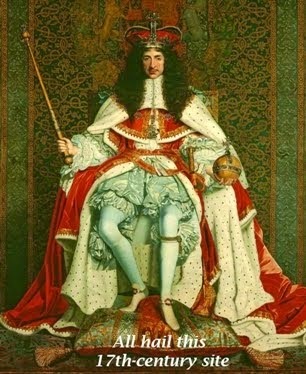 After civil wars in England and two decades of parliamentary (puritan) rule, Charles had been restored to the English throne in 1660, and was crowned in London two days before Mary was hanged in Boston. Although nominally the head of the Church of England, his beliefs were inherited from his French Catholic mother, Queen Henrietta Maria, and further formed during his exile in Catholic France. Freedom of conscience to worship (or not) as they thought best. Dissent from Church of England beliefs, without penalty, is allowed. Settlers/pioneers left England for religious freedom and to work hard for a new life (risking lives and fortunes), but were ejected from Massachusetts for religious reasons and had to start over again in perilous circumstances. Shipping and Newport’s seaport trade. Right of free passage through New England colonies (this nullifies the banishment orders of Massachusetts). This is the portion of the 1663 Charter (constitution) for Rhode Island Colony that grants a separation between civil and religious matters, and the liberty to believe and practice religion as they believed best. 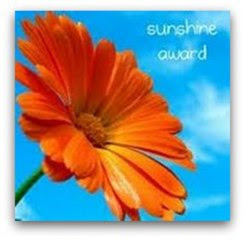 Though framed by Dr. Clarke, Rev. 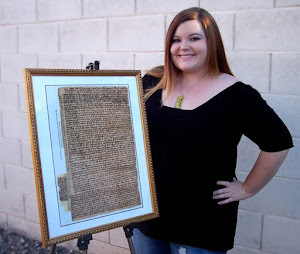 Roger Williams, and Attorney General William Dyer, it’s written in the “voice” of King Charles II, as he was granting the rights to his colony. 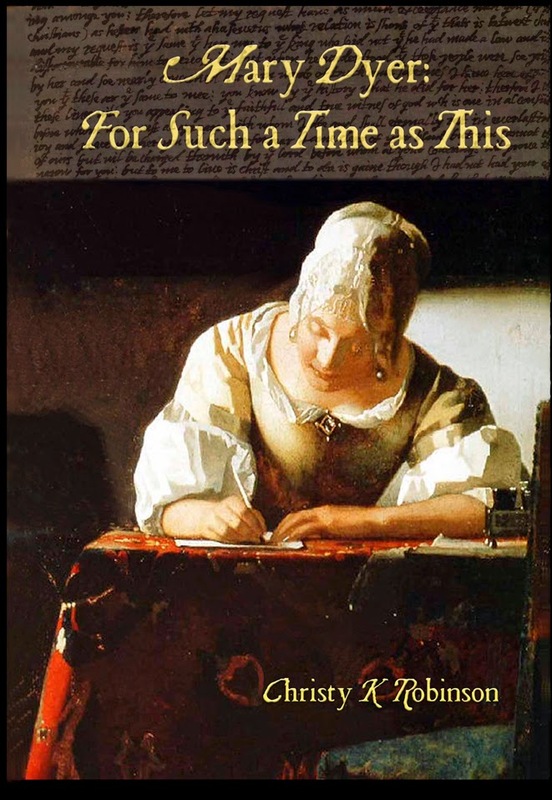 And whereas, in theire humble addresse, they have ffreely declared, that it is much on their hearts (if they may be permitted), to hold forth a livlie experiment, that a most flourishing civill state may stand and best bee maintained, and that among our English subjects. with a full libertie in religious concernements; and that true pietye rightly grounded upon gospell principles, will give the best and greatest security to sovereignetye, and will lay in the hearts of men the strongest obligations to true loyaltye: Now know bee, that wee beinge willinge to encourage the hopefull undertakeinge of oure sayd lovall and loveinge subjects, and to secure them in the free exercise and enjovment of all theire civill and religious rights, appertaining to them, as our loveing subjects; and to preserve unto them that libertye, in the true Christian ffaith and worshipp of God, which they have sought with soe much travaill, and with peaceable myndes, and lovall subjectione to our royall progenitors and ourselves, to enjoye; and because some of the people and inhabitants of the same colonie cannot, in theire private opinions, conforms to the publique exercise of religion, according to the litturgy, formes and ceremonyes of the Church of England, or take or subscribe the oaths and articles made and established in that behalfe; and for that the same, by reason of the remote distances of those places, will (as wee hope) bee noe breach of the unitie and unifformitie established in this nation: Have therefore thought ffit, and doe hereby publish, graunt, ordeyne and declare, That our royall will and pleasure is, that noe person within the sayd colonye, at any tyme hereafter, shall bee any wise molested, punished, disquieted, or called in question, for any differences in opinione in matters of religion, and doe not actually disturb the civill peace of our sayd colony; but that all and everye person and persons may, from tyme to tyme, and at all tymes hereafter, freelye and fullye have and enjoye his and theire owne judgments and consciences, in matters of religious concernments, throughout the tract of land hereafter mentioned; they behaving themselves peaceablie and quietlie, and not useing this libertie to lycentiousnesse and profanenesse, nor to the civill injurye or outward disturbeance of others; any lawe, statute, or clause, therein contayned, or to bee contayned, usage or custome of this realme, to the contrary hereof, in any wise, notwithstanding. Rhode Island became a sanctuary for people who had been persecuted elsewhere for their convictions. One hundred thirty years after the charter, America’s “Founding Fathers” (actually, I prefer the first colonials to have that title, but it’s not my call!) 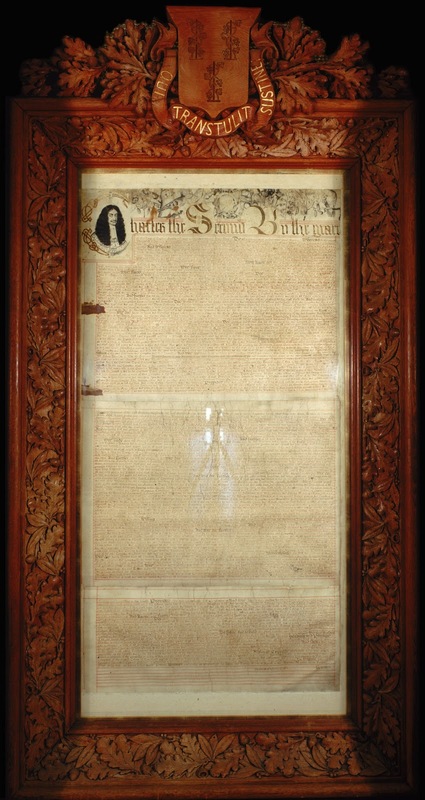 framed a constitution and the amendments to it called the Bill of Rights, based in part on the Magna Carta, the Rhode island charter, the 1786 Virginia Statute for Religious Freedom, other documents, and some very creative, brilliant thinking. 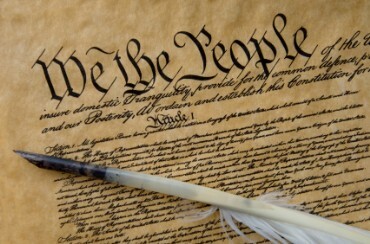 The first amendment to the US Constitution is: "Congress shall make no law respecting an establishment of religion, or prohibiting the free exercise thereof; or abridging the freedom of speech, or of the press; or the right of the people peaceably to assemble, and to petition the Government for a redress of grievances." 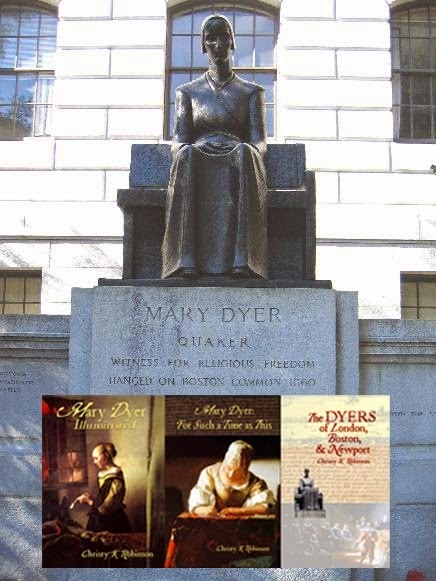 Whether or not you believe in God or a higher power, when you hear the words “First Amendment rights,” remember Mary Dyer, and that her cause and her death were the motive for separation of church and state in America, and freedom to worship (or not) and speak according to your conscience. Not the conscience of the government, or of morality groups, a church, or any others. The government cannot establish or prohibit your religious beliefs and activities. Wow, they got it right! Almost 352 years later there are still well intentioned folks who none-the-less want the government to establish a state religion and limit free speech. Thanks to "first colonials" and the "founding fathers" who recognized this human trait/flaw and included the protection against it in the first amendment. Another thoughtful post, Christy. Rhode Island's contributions to American ideals cannot be overstated. Its founders created a colony that became a beacon of religious freedom, the peaceful co-existence of diverse peoples, and prosperity built on innovation rather than on the backs of the poor. This is not to say that things were perfect then - it was the 17th century - but we would do well as a nation to remember the lessons Rhode Island has to teach. 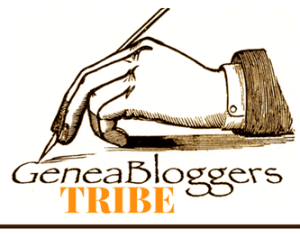 Did education drive Miss Yale crazy?